LEAs would be allowed to align their school opening dates with the opening date of a community college serving their county. Certain education reports would be combined for the use of the State Board of Education and the Department of Public Instruction. Schools would receive two separate grades, one for school achievement and one for school growth. Prohibits corporal punishment in public schools. The formula for school performance grades would change from 80% school achievement and 20% school growth to 50% each. The school performance grade would be measured with a 10-point A-F scale. School performance grades would be based on a permanent 15-point A-F scale. (Otherwise school grades would revert to a 10-point A-F scale beginning in the 2019-20 school year.) The overall school performance would be 80% school achievement and 20% school growth. Schools psychologists would receive $1,000 per month, in addition to the “A” salary schedule, and the State Board of Education would establish a retention and recruitment program that would provide signing and retention bonuses to retain high-quality school psychologists. Click here to read our issue brief on Student Support Personnel. LEAs would be granted a waiver for the K-3 class size requirements if there is a shortage of qualified, licensed teachers available or if there is inadequate classroom space or facilities. LEAs granted this waiver would not be eligible for the allotment for K-5 program enhancement teacher positions for the fiscal year that the LEA receives the waiver because those districts would be granted the flexibility that they currently utilize. Click here to read our issue brief on K-3 Class Size. Education-based salary supplements would be reinstated for the following teachers and personnel: school nurses and instructional support personnel in positions that require a master’s degree; teachers at low-performing schools, high-attrition schools, and/or elementary schools; teachers with a license in STEM, special education, and/or English; and most teachers who spend at least 70% of classroom time instruction on subjects related to their advanced academic preparation. Click here to read our issue brief on Teacher Pay. $10 million for FY 2019-20, $20 million for FY 2020-21, and $30,700,000 for FY 2021-22 in total recurring funds would be allocated to LEAs to increase school nurse positions. Funds for school counselors and psychologists would increase to and be maintained at $262 million by FY 2021-22. By FY 2021-22 school counselors would reach the nationally recommended SISP (Specialized Instructional Support Personnel) to student ratio of 1:250 and school psychologists 1:700. This week Senator Jerry Tillman, R- Randolph, filed Senate Bill 350, which eliminates most of the authorization of funds that may be placed into Fund 8. Without this statutory authorization, the following funds will have to be shared with the charter schools. Reimbursements, including indirect costs: Reimbursements include programs like the federal child nutrition program. Fees for actual costs: Fees are collected for such things as facility rentals to community groups so that utilities, janitorial services, and insurance are paid for. Tuition: Tuition is charged for programs offered by the school system outside of the normal school day, like before and after school care and summer school programs. Gifts and grants restricted as to use: This includes PTA funds, band booster funds, and specific grants for a multitude of programs throughout school districts. Federal appropriations made directly to LEAs: These are funds for programs at the federal level that schools have applied to participate in, like ROTC and Impact Aid. Click here to read more about each category that would be eliminated under SB 350. It is worth noting that charter schools already receive funds from those areas or have the ability to apply and receive those funds but have NO obligation to share any of those funds with LEAs. If this bill were to pass, it would undoubtedly lead to litigation. Removes library books from being investigated and evaluated by a local community media advisory committee on the grounds that the books are “unfit materials”. 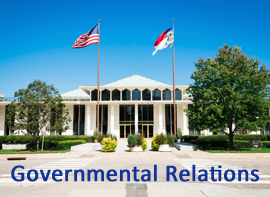 This week the State and Local Government Committee passed House Bill 31, which would allow the Durham Board of Education to provide affordable rental housing for teachers and other public-school employees. HB 31 has now been referred to the House Commerce Committee. House Bill 377 was passed by the House Education K-12 Committee and referred to the House Rules Committee on Tuesday, March 26. The bill replaces the End-of-Grade tests for third-eighth grades with a through-grade assessment model that would administer three interim assessments throughout the school year. The ACT or another recognized assessment would replace End-of-Course tests for ninth-twelfth grades. The NCSBA Legislative Public Policy Conference is scheduled for April 30/May 1 in Raleigh at the NCSBA building. The registration rate is $325. Click here to register. Senate deadline to file statewide bills and resolutions is Tuesday, April 2. House deadline to file statewide bills and resolutions (not including appropriations or finance) is Tuesday, April 16.